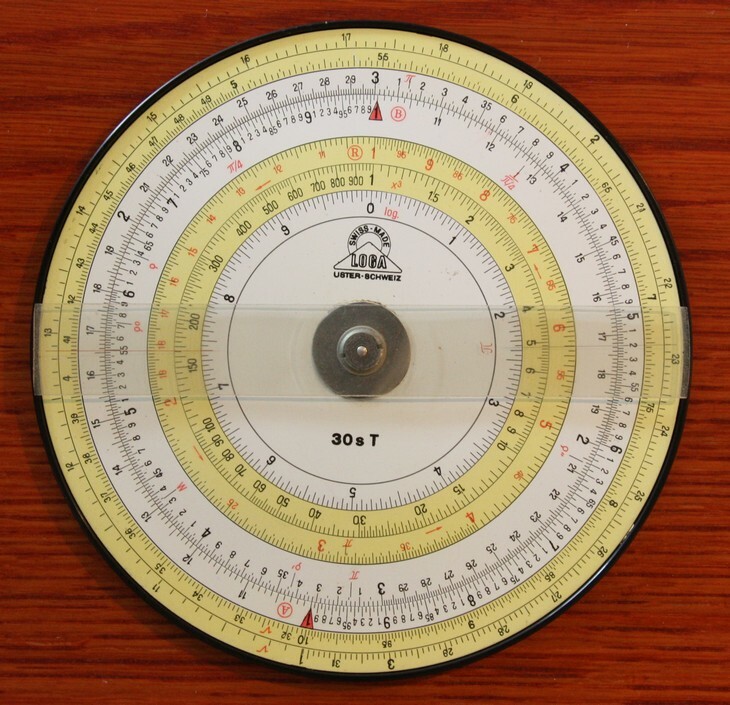 Highly functional circular slide rule. D Scale length: 302 mm. Significant digits: 3.1 to 4.